Since I think we failed to explain well Kirigami guidelines, I'm trying to mockup some examples of how Kirigami guidelines should be applied (imo). alex-l added images: Right use of Global Drawer, Right use of categories: pages (not entries in the global drawer). alex-l added a subscriber: jensreuterberg. I really like this mockup! It looks very light and clean. The current design of Discover carries a certain "thickness" with it in comparison (probably because of the big icons and the Plasma logo with shadow top left). I added some smaller ideas for improvements. Button for "home / launch view". Instead of the separate and and small/hard to click "MORE" buttons, maybe just make the "Categories", "New and Updated" and so on headers do this? Or at least move this button somehow to the left side of the interface, since the user will concentrate more on this side. Moving the cursor/finger to the right is therefore more taxing for such a basic functionality. There needs to be a back / home button. For all following red arrow traversals as well. Do we really want the burger menu to overlap other clickable content? About "more" buttons, I think it would be good to find a solution and make it a guideline. 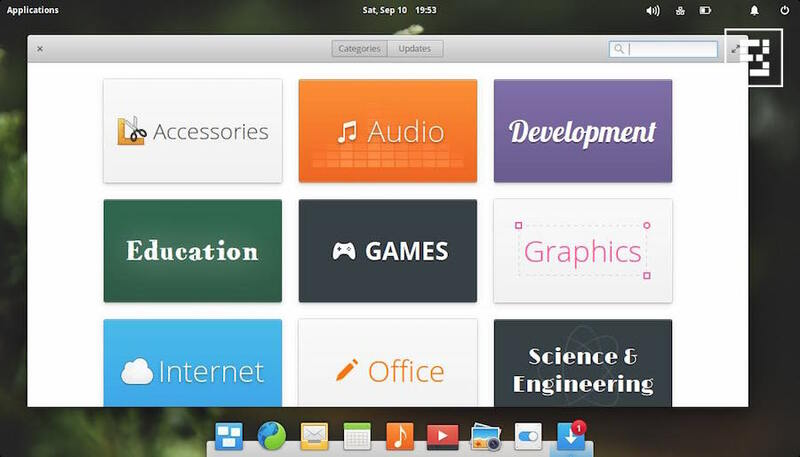 Same for categories controls: those are just placeholders, I think it would be nice something like elementary OS Software Center. In general a minumum + maximum sizes would be a good addition to guidelines. I just realized something fundamental is missing yet: A search field. I think it should be the most prominent object on the home screen and in a smaller version available as well on all the other screens. @subdiff the search could be the FAB. I should do a complete mockup, because this one is just to stress the navigation. This looks great. Better than the current plasma-discover, that's for sure. @ivanthekdefan as I said this mockup is just to show the right navigation pattern in Kirigami. "Comments" tabs was intended for app reviews.